Following on from their 2017 international debut in New York last year, Australian design merk NAU has returned to the International Contemporary Furniture Fair (ICFF) to unveil two stunning new collections. 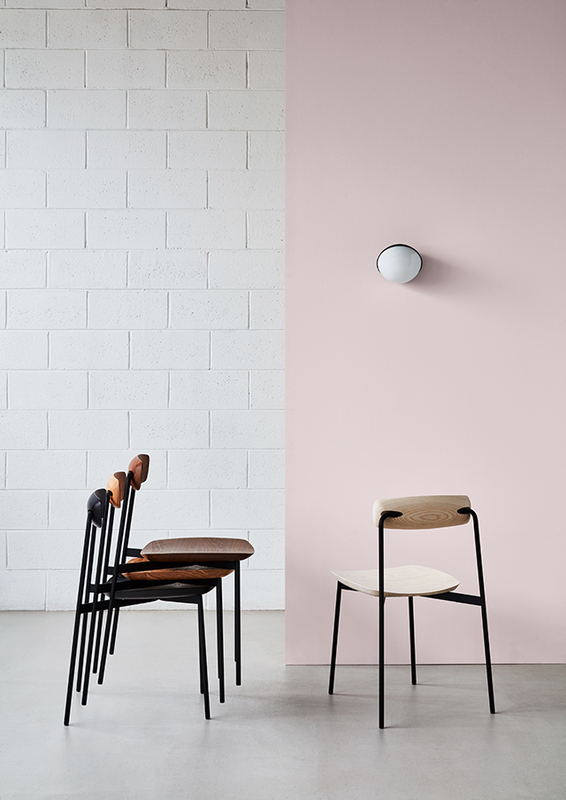 The first is the Jolly lighting range by Kate Stokes, who many of you will know as the designer behind award-winning design studio Coco Flip. Marking her debut collection for NAU, it's great to see some female representation amongst the talented collective! An advocate of ‘slow design’, Kate is fastidious in her pursuit of quality design through detail; finding joy in creating products with personality, designed to last a lifetime. Arising from the desire to create a playful lighting collection, Jolly is an exploration of form and material. It features translucent, hand-blown glass juxtaposed against solid-coloured metal rods and shades to create a balance of material composition, while the asymmetric elfin-like form injects a cheerful sense of joy. 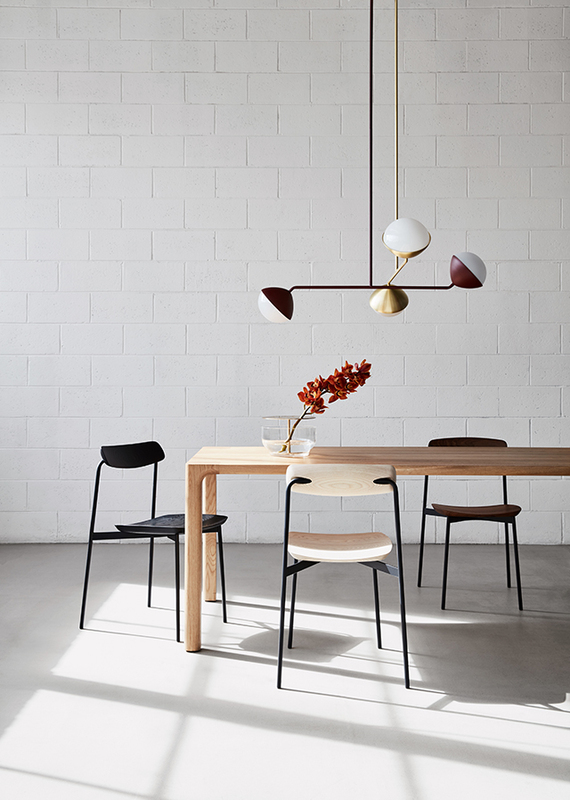 The collection includes two pendant light variations, the single rod pendant and double rod pendant. 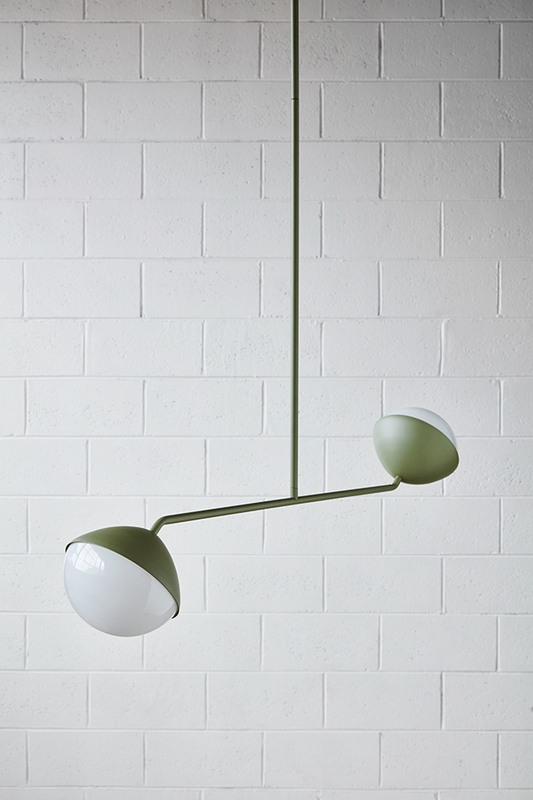 Positioned at different angles, the lamps give the pendant such a fun and quirky edge. I love this design! 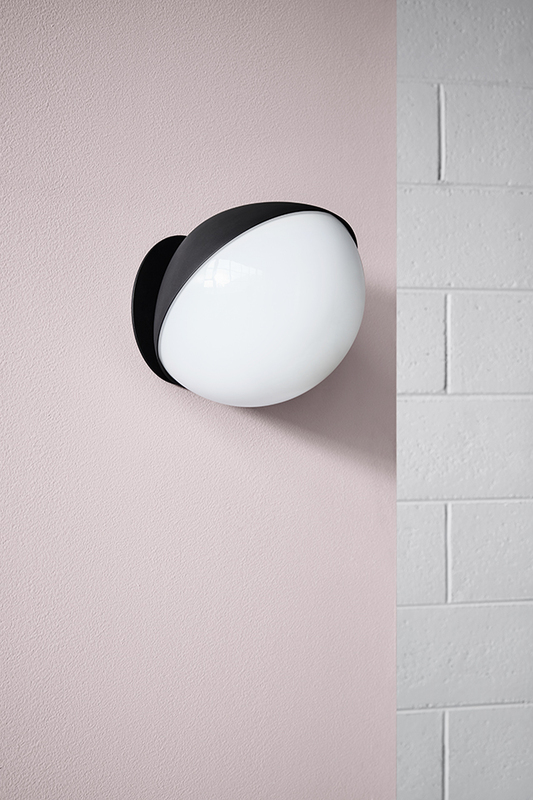 A compact wall light completes the collection, while the gorgeous range of colours make it even more special. The refined palette includes black, eucalyptus, burgundy and satin-polished brass, all of which are designed to complement the soft glow of the opal glass shades. NAU also introduces the SIA chair by Tom Fereday who has been with the collective since its launch last year. Named after its unique adjustable backrest, SIA, meaning movement, is a lightweight timber chair that is slender in design yet uncompromising in comfort. Shaped from solid natural timber, the curved seat and articulated back is contrasted by a minimal steel frame that supports the sculptural timber elements and allows for a convenient stackable design. While originally conceived for the dining room, the SIA chair is perfect for both commercial and residential applications. Currently on show at ICFF until 23 May, NAU had been awarded with Best Stand for Innovation! 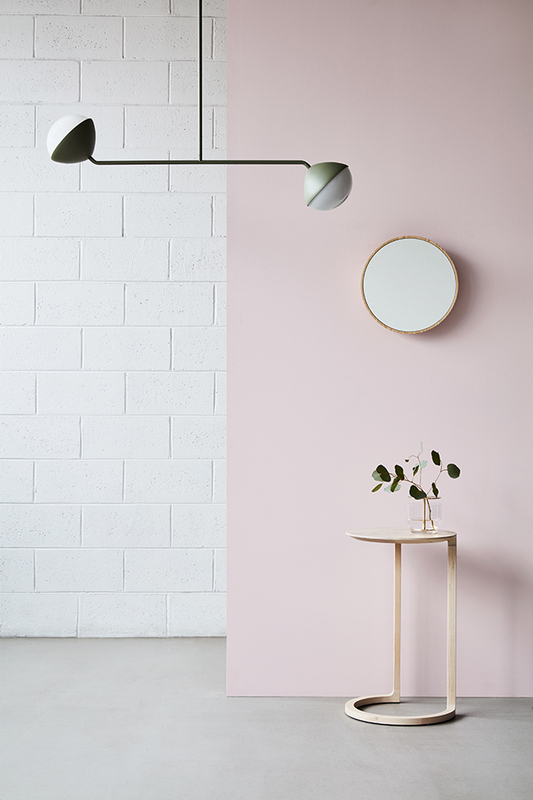 Once again designed by award-winning Australian firm DesignOffice, the striking stand takes inspiration from the Australian landscape and palette, with photography by Brooke Holm. If you're in New York head along and meet NAU designers Adam Goodrum, Kate Stokes and Adam Cornish at the NAU Stand (#1941) between 12.00-3.00pm each day. 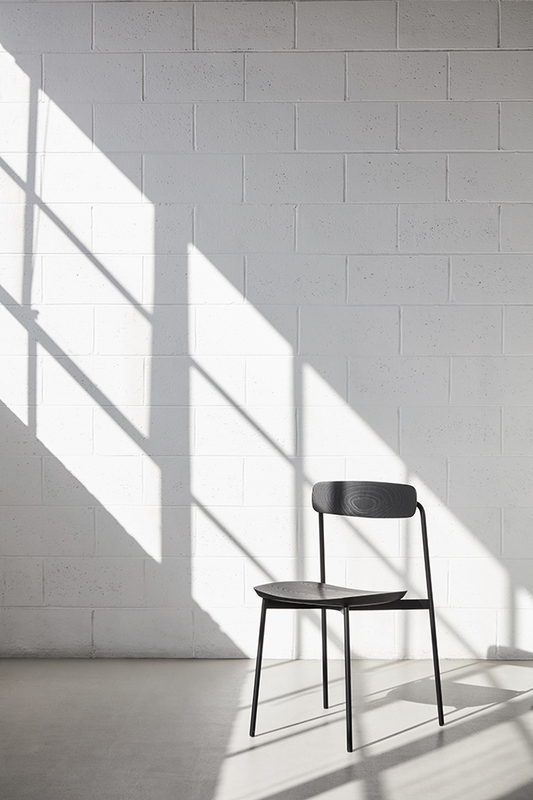 0 Response to "Nau Launches New Collections At Icff"